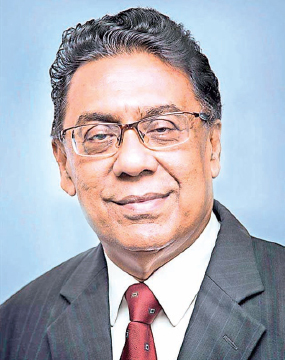 Chairman of Ceylon National Chamber of Industries Raja Hewabowala said in a Press Release that the National Budget 2019 has many plus points since it has touched all segments of society and the country’s economy. Among the proposals, the continuation of “Enterprise Sri Lanka” is certainly a good move which would help improve income distribution and buying power particularly, among the country’s masses with employment generation which was a grave problem in rural areas. The Government bears a significant portion of the interest of these loans under the “Enterprise Sri Lanka,” Schemes. The Budget has also proposed some fruitful measures to arrest their collateral issues. However, in order to meet the desired objectives of the scheme, the establishment of a proper monitoring mechanism and support programs, is a must. Measures taken to uplift the SMEs and the agricultural sector, are very important to develop the rural economy. The Government’s procurement to provide better opportunities for SMEs by earmarking at least 10% of the value of the procurement to Sri Lankan SMEs is commendable. The Budget has offered to support domestic industries that would face greater competition from imports. For this purpose, it has been proposed to provide vulnerable firms and workers with financial support to meet the costs of upgrading technology and training respectively. It also confirms that the Government would ensure that the 10% of all HS codes considered sensitive items, would not be subjected to a complete para-tariff phase-out. As industrialists, we are also not happy to impose para-tariff on all imported goods which would finally account for an additional cost to the general public. We have also noted that many countries including Japan and Thailand, have imposed Customs duty on items, when there is a strong presence of a local Industry. In this arena, we must understand that the problem faced by local industrialists, is that they lack a conducive environment to compete with mass scale foreign manufacturers’ products in the local market in the face of a high cost of production owing to the high interest rates, electricity, transport, labour, material cost, low scale of production compared to those etc. As such, we welcome the suggestion of providing vulnerable firms with financial assistance to meet the costs of upgrading technology and training, Hewabowala said. With a view to supporting the local construction companies, the Budget has proposed that no foreign construction company would be permitted to tender for Government projects, unless the project is fully foreign financed without forming a joint venture with a local construction or consultancy company. Further, the cost of construction would reduce with the proposed para-tariff revisions and the removal of NBT on the main construction contractor. This is an appreciable proposal. At the same time, we perceive that similar measures are demanded by some other industries as well, especially where FDIs are allowed to access the local market under the BOI Laws, when local industries have the capacity to cater to the demands of our entire market. Funding proposals for the Export market access and product development programs are appreciated as a much needed move and we are already behind other counties which implement these programs before bilateral trade negotiations. At this instance, we note that the fund allocation for these strategic moves are highly inadequate, compared to the scale of work that is needed to be done and the number of companies which would be applying for assistance since Rs Rs. 50 million has been allocated for new product development related grants. The Carbon Tax was proposed in Budget Proposal 2018 and enacted via the Finance Act No. 35 of 2018 w.e.f January 1, 2019. In conclusion, Hewabowala added that the CNCI congratulates the government for its efforts through the 2019 budget to strengthen the economy, while uplifting social welfare and living standards of the common man. However, what is more important is the implementation part of the proposals, which demands a sound monitoring mechanism.